Though now largely forgotten the successful defense of Cholm by Kampfgruppe Scherer ranks as one of the great small unit sieges of the Second World War and perhaps of all time. Now you can relive the first ten days of this epic battle, when the underfed soldiers of the Soviet 3rd Shock Army attempted to capture the town, its food, and its vital road hub “on the march” and avoid what would ultimately become a long and unsuccessful siege. 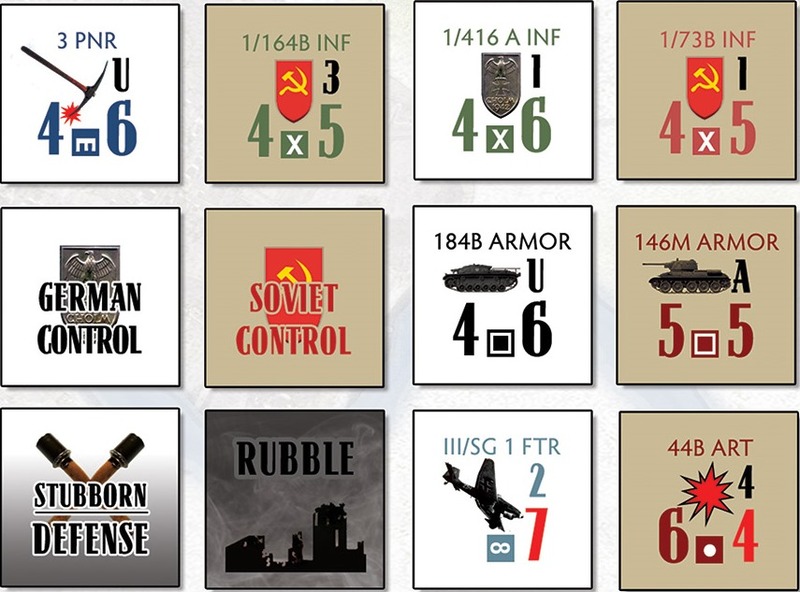 As the Soviet side you have more men, stronger artillery, and armor. As the German side you have the town, the high ground, and air power. Hitler has declared Cholm a festung: there will be no withdrawal. In the waist-deep snow and sub-zero temperatures the battle will be fought to the last man and the last grenade. 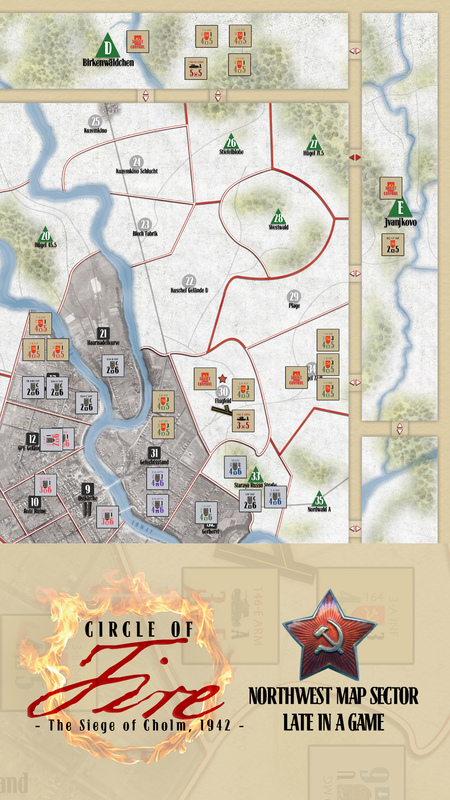 Circle of Fire: The Siege of Cholm, 1942, by designer Michael Rinella, utilizes an updated version of the low-complexity area-impulse system first used in the award-winning Avalon Hill classic Storm Over Arnhem. Unlike that game, however, this design includes a hallmark of later area-impulse games: the “sudden death” mechanism to end turns unpredictably. 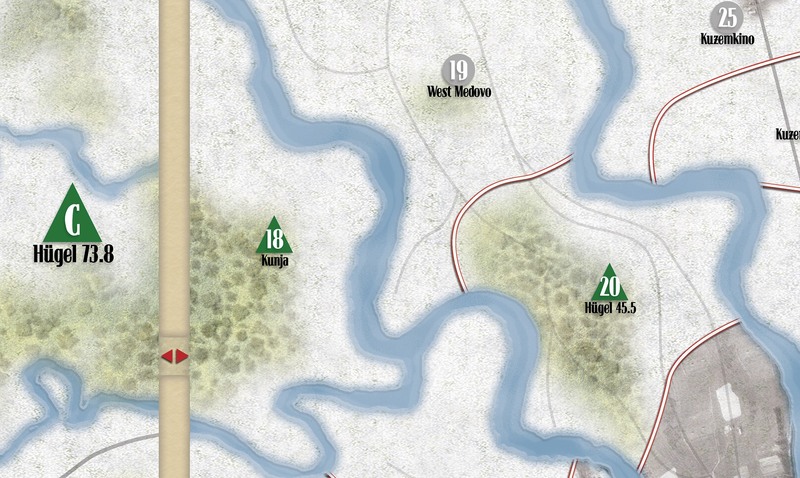 The game includes a full size area map produced directly from aerial photographs and situational maps, and 176 large counters. Easy to learn, quick to set up, and fast to play, Circle of Fire is both a great introduction to the area-impulse system and a great introductory conflict simulation game. Download the rules for Circle of Fire (in PDF format).